Prime Locations, Excellent Value & Large Floor Plans! Rent Includes Heat & Hot Water in Almost All Units! Just a 5-minute walk to Yale University Campuses! Come to think of it, we’re proud of both for the same reason — both have been built to last. For the past thirty-seven years, Hadley, Inc. has been meeting the needs of renters in the New Haven, Westville, and West Haven areas, catering, among others, to many connected with Yale University, its hospitals, and to many working in downtown New Haven, Westville, and West Haven. 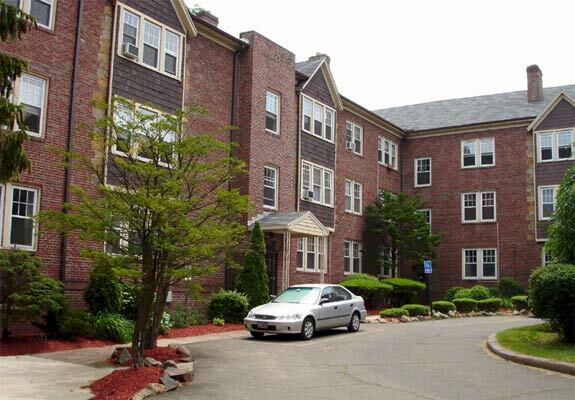 Our apartments are located in prime, highly desirable locations in the downtown New Haven Whitney Avenue area, in historic Westville, and in the beautiful shoreline community of West Haven. Founded by Allen C. Hadelman back in 1977, Hadley, Inc. has grown successfully throughout the years, priding itself on excellent service and immaculately maintained buildings, each of which Allen Hadelman has carefully and judiciously selected himself. The apartments range from cozy and convenient studios to spacious and luxurious three-bedroom units. Many feature pre-war architecture, fireplaces, built-in bookshelves and high ceilings, and all buildings boast fine oak floors, excellent security, and 24-hour emergency maintenance service. Hadley, Inc. is proud to have its own maintenance staff comprised of reliable, competent, and hardworking employees headed by our maintenance director who has worked for the company for over 25 years and knows each building through and through. Additionally, most of the New Haven apartment rentals have off-street parking, and some offer garages. They are all conveniently located providing easy access to public transportation including the Yale shuttle and various bus lines, and many are within a five-minute walk from Yale’s campus and a ten-minute walk from downtown New Haven. In addition to all of the above, the rent for Hadley, Inc.’s valuable apartments includes heat & hot water in twenty-two out of its twenty-three buildings. Therefore, if New Haven is hit by a hard, cold winter, no matter how much heat and hot water you use, you know what you will be paying thanks to the fixed utility rate included in your rent. Hadley, Inc. apartments offer you many other unique and invaluable qualities, so take a look for yourself at our spacious units and floor plans and contact us with any questions or to set up viewings so that we can listen to you and help you find your best fit. And if you are unable to make it to New Haven in person, we remain fully committed to helping you find the apartment that’s perfect for you. Our well trained, highly experienced and regarded staff members are only a phone call or email away, and are here to carefully listen and to work with you to find the space that best meets your needs and budget. Here at Hadley, Inc., we don’t help you find just an apartment. We help you find a home.